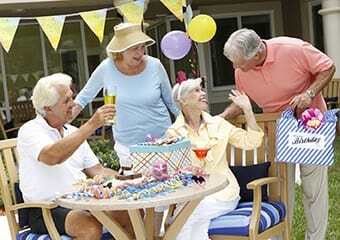 The Summit's exclusive carefree senior-lifestyle programs provide residents with fun, stress free, easy living. We designed these programs with one thing in mind - It's all about you! Socialize with neighbors, enjoy fine dining, get out-and-about scheduled trips, and take advantage of all the health and wellness opportunities. Plus, weekly housekeeping and concierge services all make life the best it could be. Now that's living!